These little cakes are my new favorite thing to make. I loved making red velvet cake balls, but this is the first time I have tried that recipe with something other than red velvet. The chocolate cake was great and somehow putting them on a lollipop stick made them seem even better. Now, I'm going to have to try more cake combinations. Yikes! I love it!! You are so clever to come up with these different ideas! You are a creative diva! I love all your posts. I've subscribed! And I just might have to try those cupcake pops. 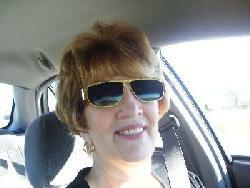 shealynn benner - thanks, I'll check it out. i had to tell my friends. I've done cake balls before and I found that a cherry chip cake mix with cream cheese frosting stirred in then dipped in chocolate tastes just like a cherry cordial! Oh my gosh, my mouth is watering as I scroll through your blog. Such lovely little cakes and treats you make! divine! Jillian - I'll have to try that combo sometime. Amazing little cupcakes, I'm hoping to make them and give 'em as gifts! Can you explain how you dip the two different colored chocolate/melts though? Chocolate as a base and the pink melts afterwards? I absolutely love the lolly cupcakes. I want to make them for my Aunt's B-day. Please tell me where to find the recipe and how to. THANKS! PS. Your ideas are adorable! I'll try to make these again sometime soon with photo instructions. I had no idea how popular they would be. In the meantime, follow the recipe for the red velvet cake balls (you can substitute flavors) and then for the pops insert lollipop sticks into chilled ball mixture and dip in melted chocolate bark. I melt it in a bowl, a few blocks of bark at a time in the microwave. Let them setup on a styrofoam block. 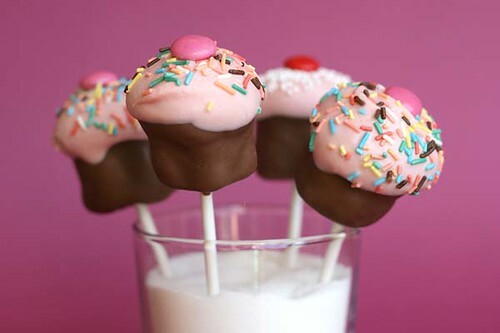 For the cupcake lollipops… Shape them into cupcakes, dip into chocolate bark, and let dry. 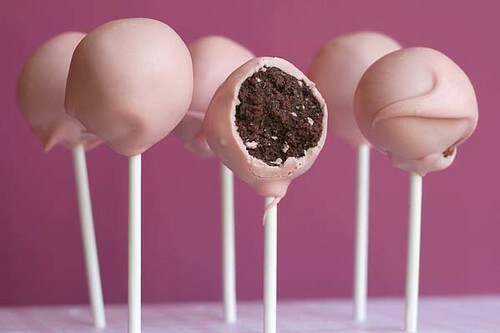 When completely dry, dip the tops halfway in the melted pink candy coating. Then decorate. Hope this helps. Oh, my goodness! I make white cake balls and can't wait to make them on a popsicle stick!!!! I'm going right now to get the sticks!!! So cute! I love your photography, too! I am so glad I came across your blogs!! I love the ideas and will be implementing some of them for my weekend cooking for EFY and CFY! A HUGE THANK YOU! Thanks Richardsons of HV, cupcake lady and grumpy's honeybunch! Can you use the frosting with the Oreos or does it have to be actual cream cheese? Have you tried other cake flavors and other frostings? Just wondering if there is something special with the cream cheese frosting or if any would work? tracey - i would stick with oreos with the cream cheese and cake to go with the cream cheese frosting. And yep, you can also use different cake and frosting flavors together. My son's birthday 2 year birthday is coming up and I am going to do a lollipop theme! This is a wonderful idea and I think I am gonna try it! I'm not quite sure where to get the lollipop sticks though? Any ideas? candy - either at craft stores or online here"
This is such a wonderful idea...especially if people don't want a whole piece of cake. Yep. Perfect for portion control. Everything is so beautiful here! These lollipop cakes are looking awesome! Okay, I tried making these today. Not great luck...I think my cake was too moist, so when I dipped the tops they were wanting to fall off. Have you had this happen? Also, I substituted white chocolate, which was a bad idea! This is soo smart and creative! I always have leftover edges of cake when carving it, and instead of eating the extras as I work, I'm going to save them to make little lollipop cakes! The cupcake lollipops are the best idea! so cute. These are really cute! Last time I made them my husband wouldn't touch them because he said they were too sweet.. I LOVE your whole arsenel of these pops! I've been eyeing them forever and I think I will finally take the plunge and attempt some myself. But have a question...I hate canned icing. If I make my own buttercream icing would this work as well?